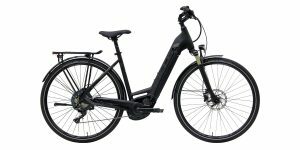 I remember how impressed I was the first time I saw the Riese & Müller Delite, I reviewed the GT NuVinci model in early 2017 and came away loving the balance between comfort and utility, almost like a lightweight motorcycle… You can ride this thing on bike paths, between cars during rush our, to get some exercise and social interaction, and you don’t need any kind of licensing or insurance (as you might with a moped or motorcycle) because it’s a Class 1 electric bike, the most widely accepted level. 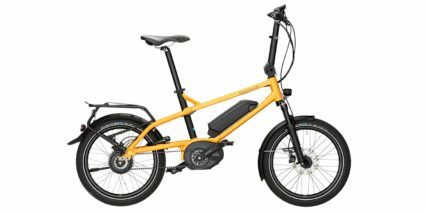 As a pedal assist only platform, you do have to pedal in order to activate the motor here, but this is one of the fanciest, most responsive mid-motors on the market today in my experience. 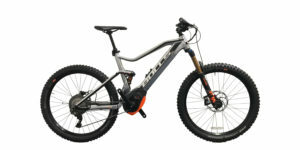 It’s usually reserved for electric mountain bikes, but given the added weight of the Delite 25, it’s a perfect fit. 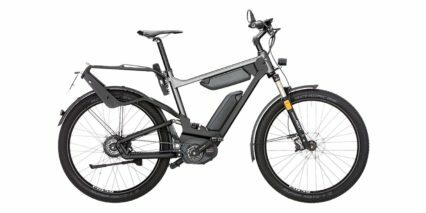 Starting in 2017, this motor added a new eMTB mode which provides a full range of power without the need for clicking buttons, more like a torque sensor. 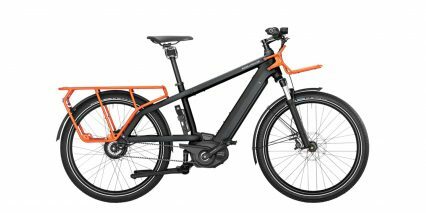 The bike offers near instant response, plenty of torque for a zippy starts and climbing, and incredible range because it leverages the 11-speed cassette and dual battery setup. 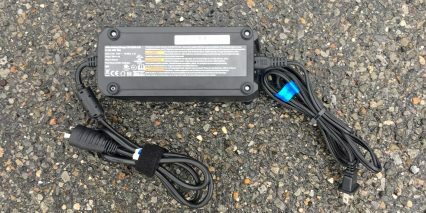 The standard Delite models do not come with two batteries like the Signature model here. 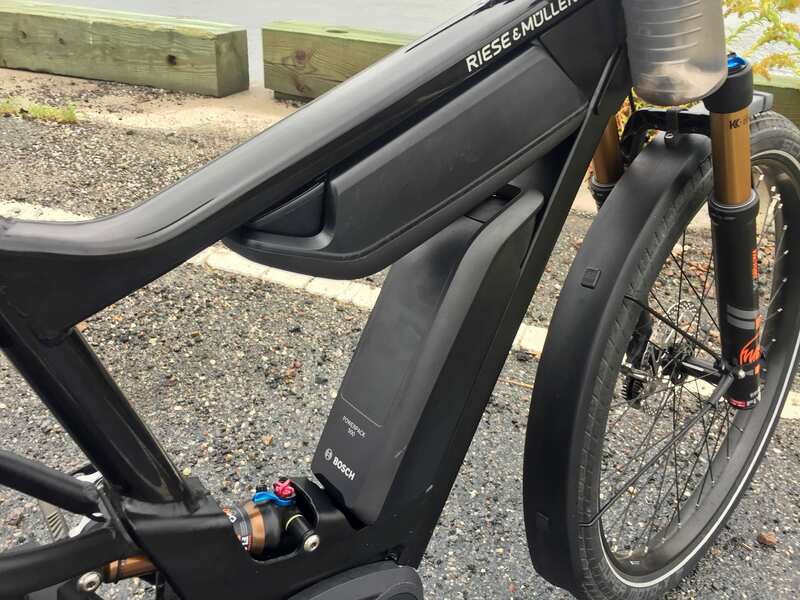 What you’re getting for the extra money is bike that the founders of R&M put together based purely on what would work best… if money weren’t an object. It’s a celebration of technology and performance honoring their 25 year company anniversary (hence the name). 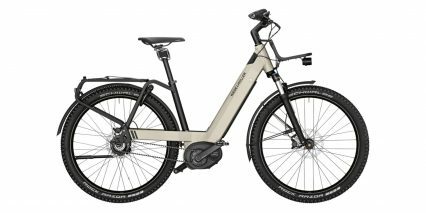 And, between the electronic shifting, high-end hydraulic disc brakes with heat sink calipers, mountain bike level air suspension, and the higher battery capacity… it’s a platform that’s easy to love. 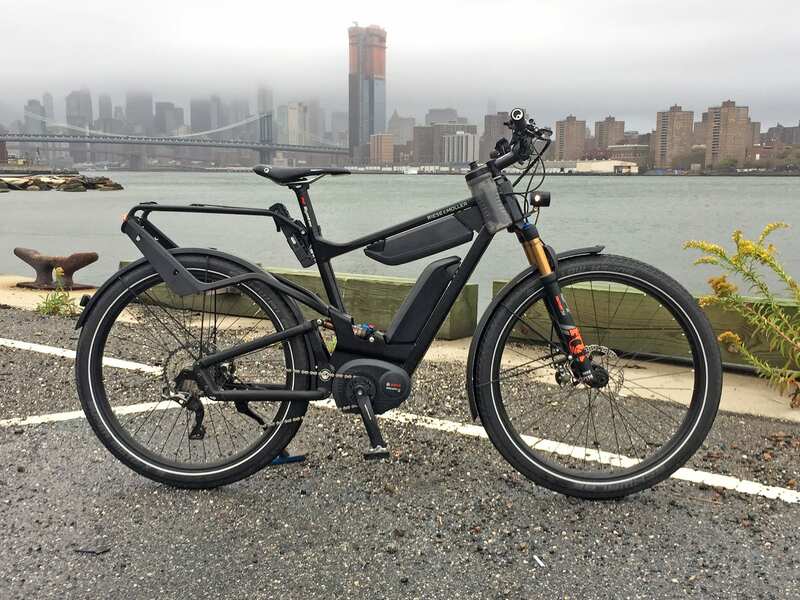 There are lots of little refinements here like Boost hub spacing with thru-axles, a carbon fiber handlebar, sporty Ergon grips and saddle, and three frame sizes so you can enjoy whether you’re a petite or large rider. 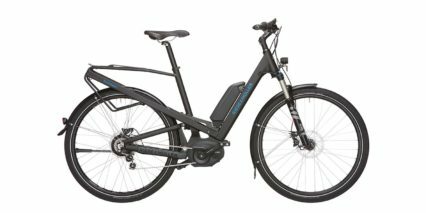 Driving the bike is a 350 watt nominally rated centerdrive from Bosch. 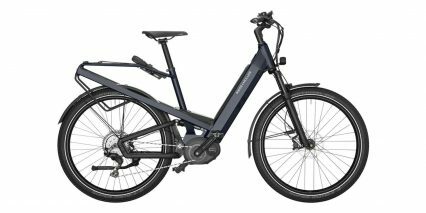 It’s their high-torque CX model rated up to 75 Newton meters of torque and 20 mph top speeds (or 15.5 mph in Europe). 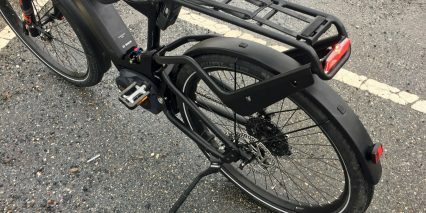 The motor casing blends nicely with the black accents of the frame and has thick shell to keep it safe dry… as you can see from the video review. 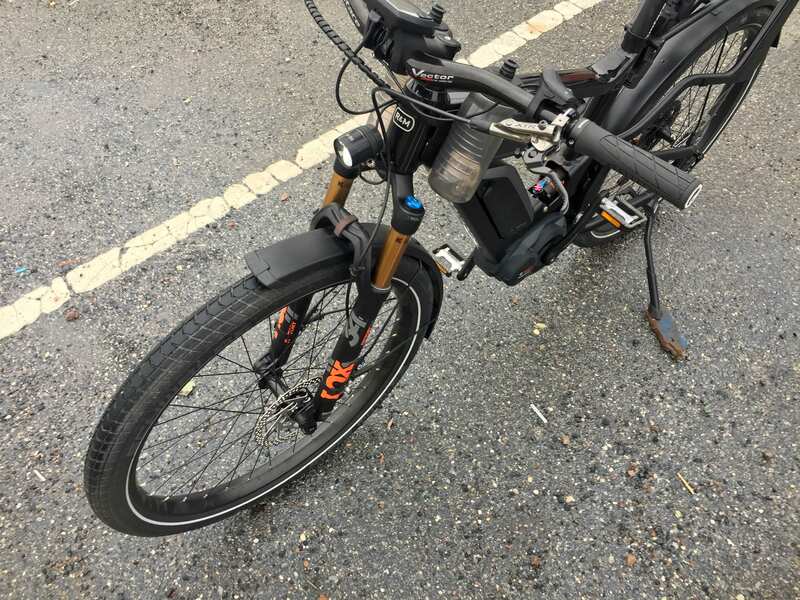 All of the electronic components on this bike are sealed against water, you wouldn’t want to submerge it or spray it with a pressure washer, but the bike is designed to handle wet environments… and the front fender goes extra lot to protect your feet, shins, and the motor. 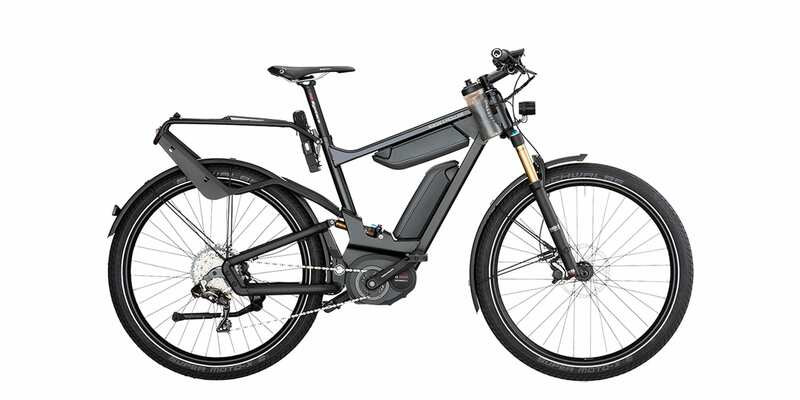 The Bosch Performance Line drive units measure rear wheel speed, pedal cadence and pedal torque 1,000+ times per second. 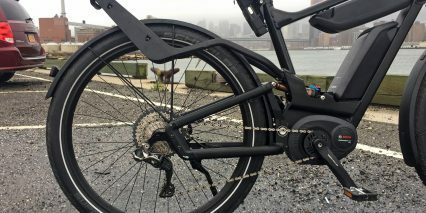 It also listens for pressure changes in the chain which are produced by your pedaling motion as well as gear shifting, and it eases off when this happens so you won’t mash the gears. It’s not a perfect system, but very few other companies even attempt this level of interaction and the end result is a fortified drivetrain with fewer broken chains, bent chainrings, and derailleur adjustments. 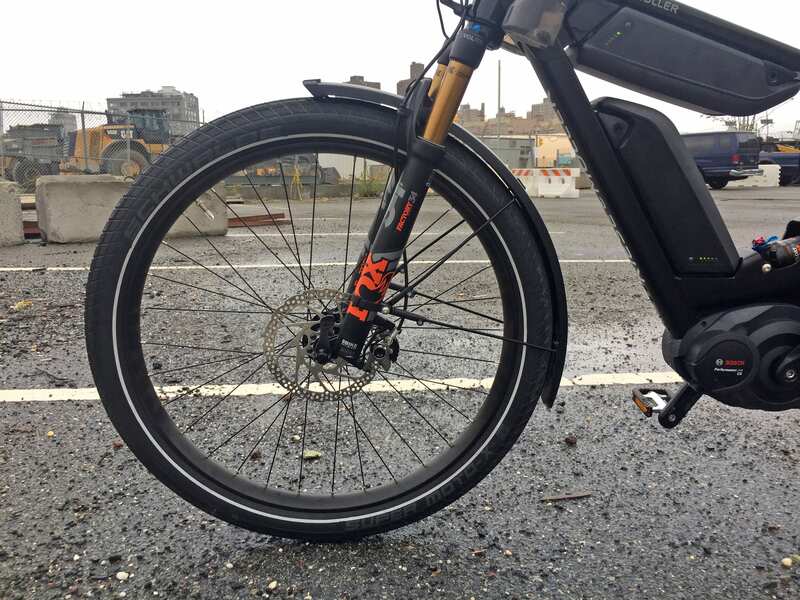 Shifting gears on this ebike is a snap because it’s using the Shimano Di2 electronic shifting setup. Button presses are consistent and you can do double up or down shifts by holding in. 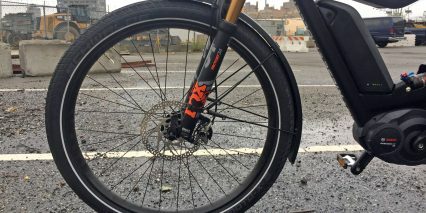 A signal is sent to the rear derailleur vs. a long wire being stretched, so the drivetrain stays true and is much more precise… Overall, it’s quick and satisfying, and much lighter than the NuVinci continuously variable transmission hub used on the Delite GT NuVinci model in my last review. I do enjoy that system, but it’s just not as sporty or quick as this, and as a more active rider myself, I prefer this. Another interesting control feature that the Bosch motors offer when paired with the Intuvia display panel is sift recommendation. 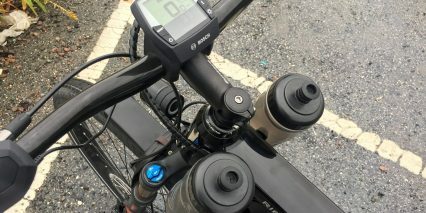 This manifests as an up and down arrow that appear near the top left portion of the display when the controller thinks you could be riding more efficiently by empowering the motor near its “sweet spot” for RPM output. I love that the Bosch CX motor offers the highest RPM output in their series, up to 120 RPM, compared to the Active Line motors and many other competing brands that either fade towards 120 RPM or are only designed to reach ~100. What this means in practice is that you can spin fast to reach higher levels of speed vs. having to switch gears. I come from a road cycling background and enjoy spinning, in part because of a knee injury. Whether you choose to ride this way or not, it’s nice to have the option and can be very useful (like the eMTB mode) in moments when you are focused more on surroundings vs. the button pad and power level. 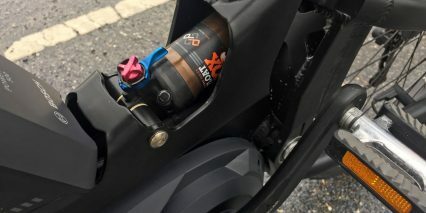 The two trade-offs that this motor presents are increased whirring noise at high power and some mechanical friction because of an internal reduction gear. 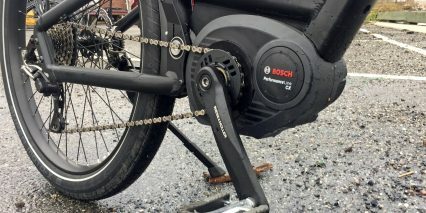 The 18 tooth proprietary Bosch chainring is roughly equivalent to 45 tooth chainring on other electric or non-electric bikes. 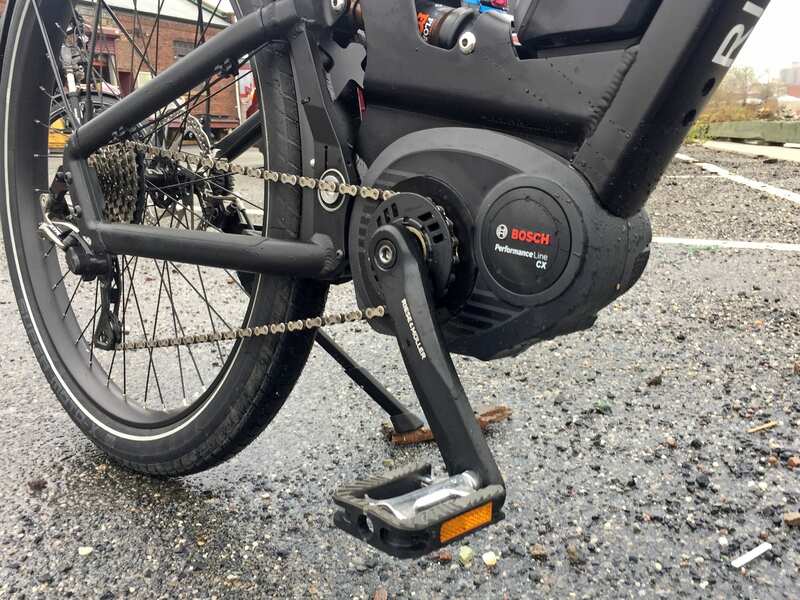 It spins 2.5x for each pedal crank revolution and this smaller size allows it to be quick, provide a mechanical advantage, and increase chain retention (along with an alloy chainring guard). 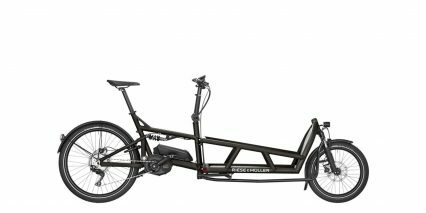 I haven’t noticed the drag when pedaling this bike unpowered, but it is a minor factor and worth sharing because I want to be fair and detailed about the pros and cons of each drive system. 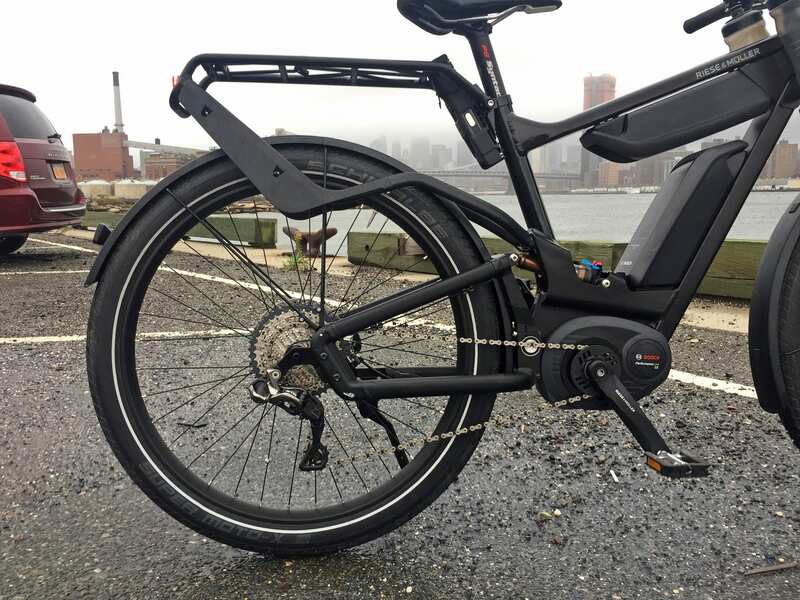 Powering the Delite 25 electric bike is a dual-battery one kilowatt hour Lithium-ion powerplant. 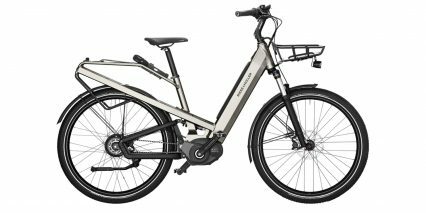 It consists of two of the latest and greatest Bosch Powerpack 500 batteries that are mounted to the downtube and under the top tube. 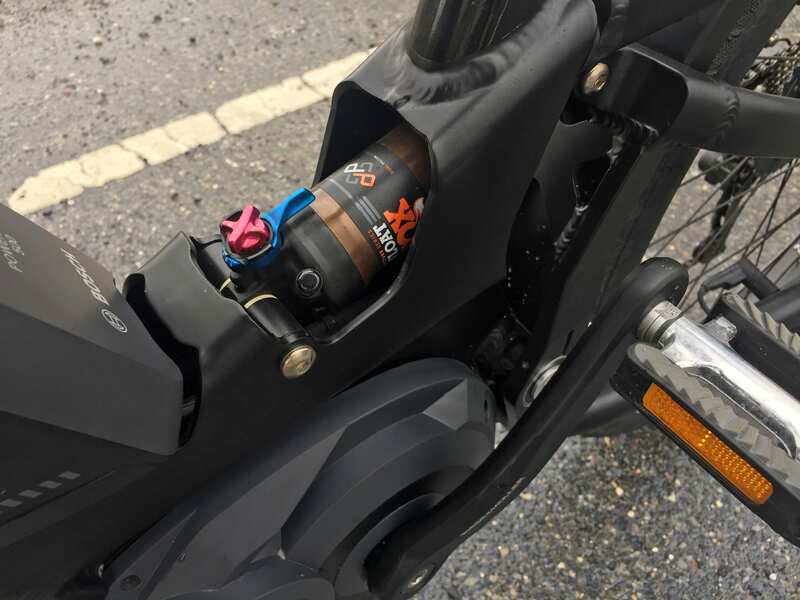 Both packs have LED charge level indicators built in and a molded loop-handle at the top so you can transport and interact with them safely off-bike. They can be charged independently off-bike and fill quickly thanks to the 4 Amp battery charger that Bosch includes and this charger only weighs ~1.7 lbs. The charging plug design is proprietary so you won’t have to deal with any mixups if you own Bosch power tools or try to plug it in upside down. 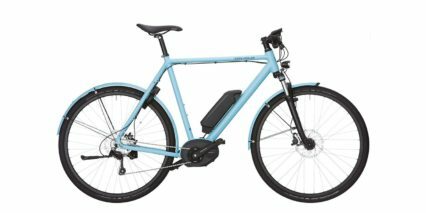 This charger would be easy to toss into a trunk bag or panniers for longer rides, but Bosch also sells a compact 2 Amp charger that would save some space and weight (it weighs ~1.1 lbs). 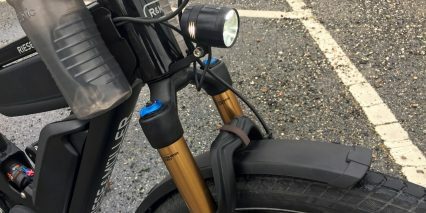 If you can position the bike near a plug, you could simply leave both batteries mounted to the bike frame and fill them simultaneously by plugging the charger into the left side of the bike frame (near the head tube). 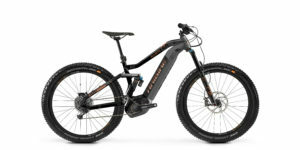 This dual-charging design is convenient and mirrors how the batteries discharge when riding. Rather than draining battery one and then moving on to battery two, the Bosch controller pulls back and forth from both packs so they cycle more evenly and last longer (in terms of lifetime age). It’s a thoughtful design, one that is visualized on the display panel by two battery infographics, and the benefit is clear… but there is also a trade-off. 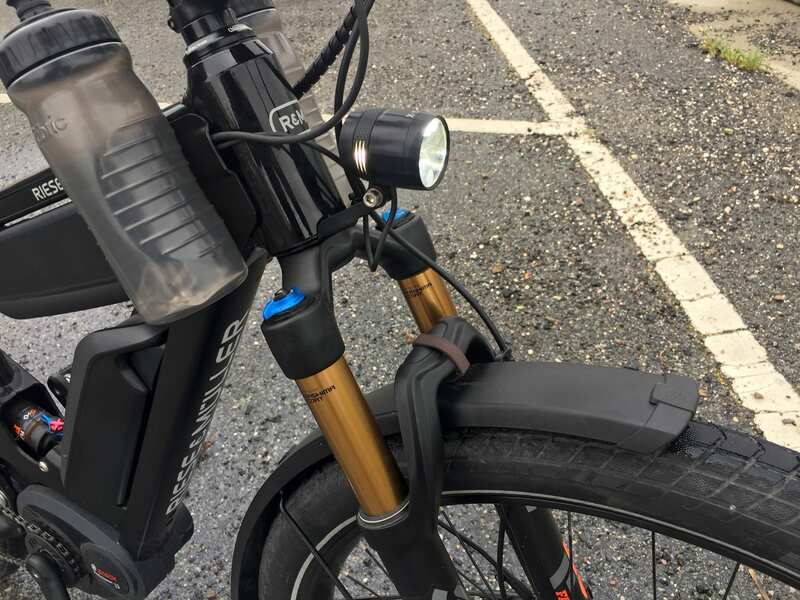 Since both batteries drain evenly, you might need to swap both of them at once when riding on a long trek (if you were carrying extra packs to extend range). 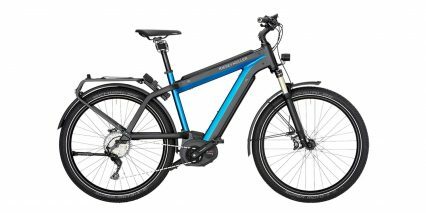 It’s a minor consideration however because I think most people will benefit more from the balanced design… For those who want a more linear battery discharge design, check out the new Shimano E8000 powered electric bikes. 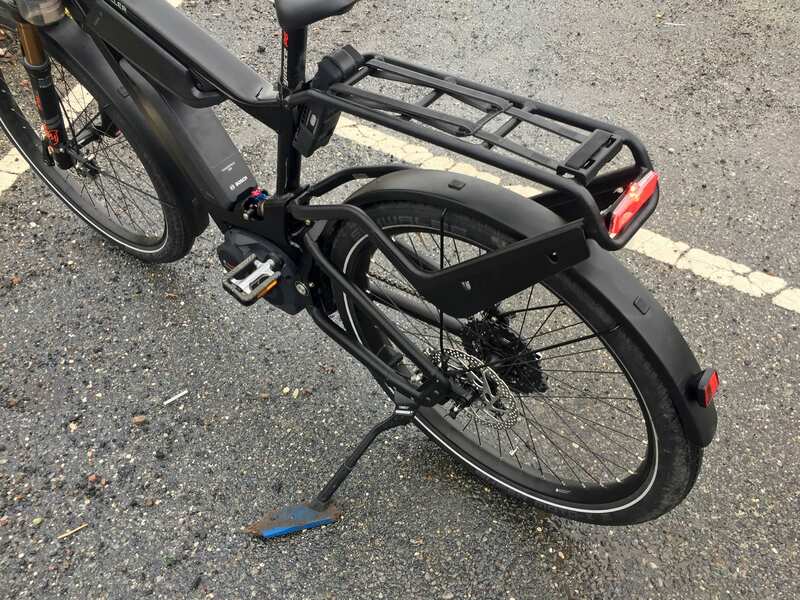 Some final notes here are that the Bosch batteries lock to the bike with ABUS locking cores, and the included ABUS folding lock uses the same key for convenience. 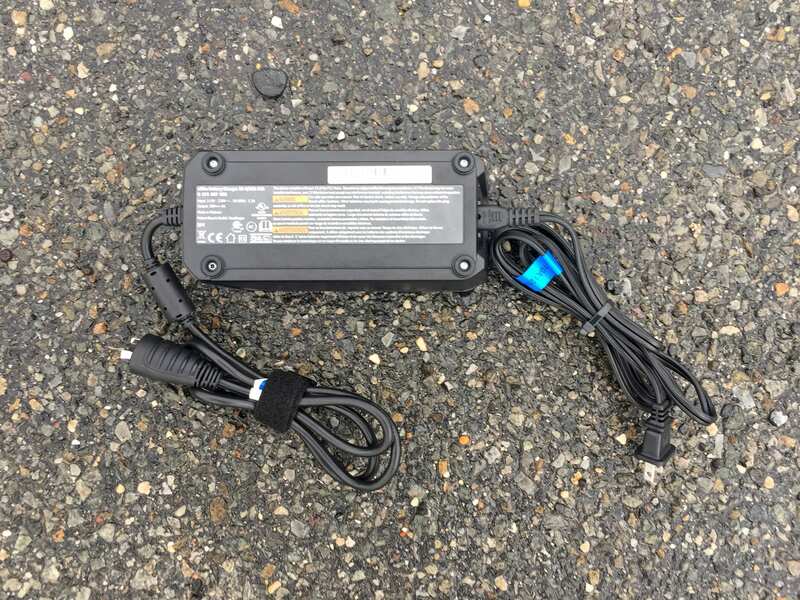 If you own an older Powerpack 400 battery, I believe this will interface with the same mounts and can be used as a backup for longer rides, the batteries click down into their mounts and this can be adjusted for tightness by shops if you notice some looseness over time. 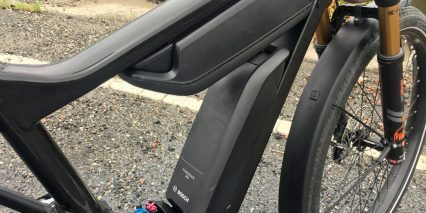 I love that both batteries are sprung, positioned near the center of the bike and as low as possible for improved balance and stability as well as reduced rattling and wear. Operating the Delite 25 is a one-step process after the batteries have been charged and mounted. 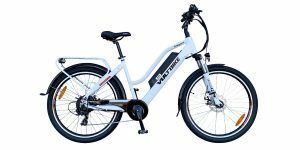 And I believe that you can ride the bike with just one battery if you want to save weight, just like the standard Delite models. 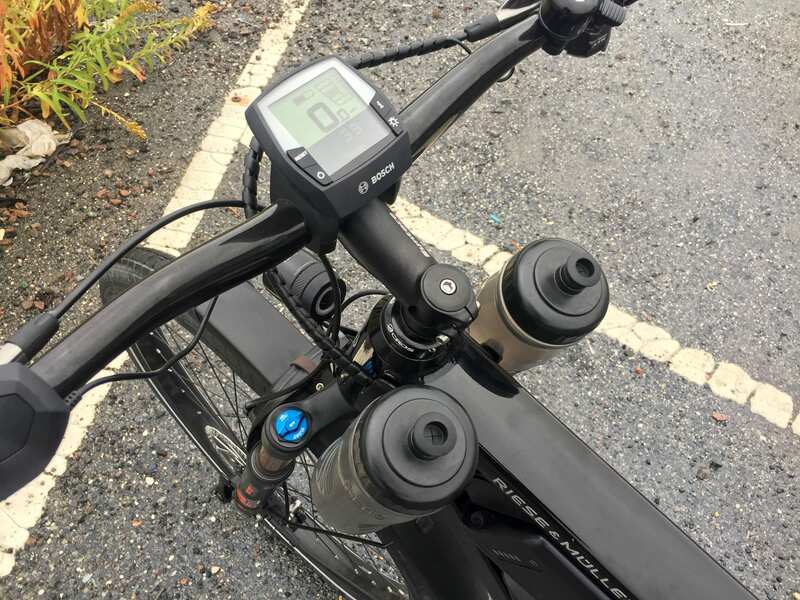 When you’re ready to go just press the power button near the lower left corner of the Intuvia and you’ll see your current speed and a little stack of assist readouts to the right along with a power meter. The lower section of the display provides trip stats like odometer, trim meter, average speed, max speed, clock, and range estimate. I love this range tool because it provides more precise feedback than the battery readouts which use 20% increments (five bars on each battery graphic). You get to the range menu by pressing the i button on the right side of the display or in the center of the button pad, mounted near the left grip. 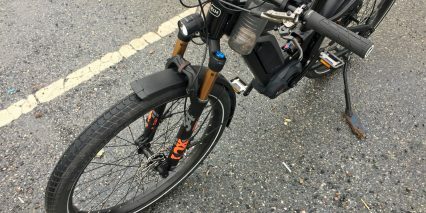 Range will dynamically update depending on your battery level, the last mile of riding (unless you hold the reset button) and your chosen level of assist. I showed it in action in the video review above, but it’s just so much fun to experiment with and test in real life. 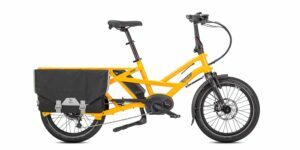 Again, this is a ~68.3 lb electric bike, that’s pretty heavy compared to the majority of 50 to 60 lb bikes with lights, fenders etc. like this. I personally think the weight is worth it because of the comfort and range on offer, but you just don’t want to get stuck with empty batteries and have to pedal the whole way home. If its flat, the smooth efficient tires will be fine and your wide range of gearing options is going to be wonderful… but climbing with the added weight and no power could be frustrating… so experiment with the range menu and consider bringing the charger along just in case. 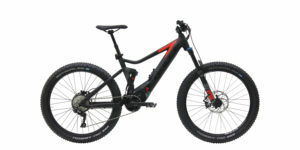 To add power, press the plus button on the button pad and navigate through zero assist, eco, tour, eMTB, and Turbo. The higher you go, the faster the bike will start and the easier it will be to hit and maintain 20 mph. Keep in mind, this also drains the battery faster. 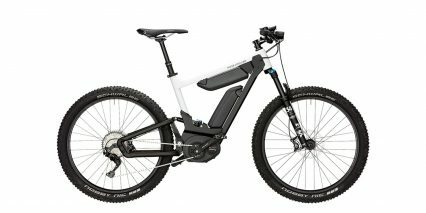 The new special mode called eMTB allows you to focus more on steering and shifting gears than navigating motor power, and I have become a fan of using it at all times. It offers 120% to 300% assist support purely based on how hard you push, and yet, it still helps you when you are pushing gently. 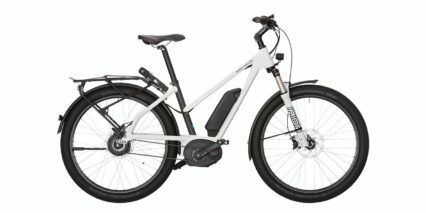 Unlike many other strain sensors like the TMM4 used by Easy Motion and Stromer, I feel that the Bosch eMTB mode is more effective with low torque and more consistent in how it scales. Court, first of all thank you so much for your website. I visit it on a daily basis. 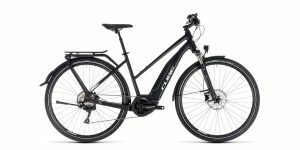 While I typically find little to disagree with in your reviews, I differ more than agree with your review of this R & M bike. As an owner of the Trek Supercommuter + 8s, the R & M bike is anything but beautiful. 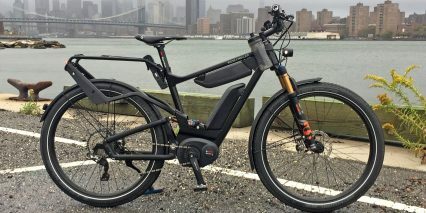 For $11K you have a bike with batteries that are not integrated into the frame, and a mix of components that seem to be cobbled together. While the various components of the drivetrain and the brakes etc. 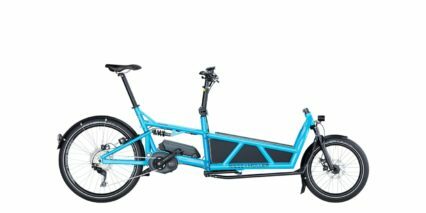 are top notch, I struggle to understand why it is not capable of 28 mph. 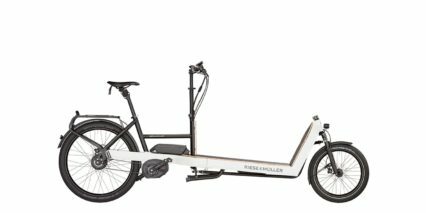 Why build a commuter bike with the range of two batteries (50 M min) and limit it to 20 mph. To commute the potential 50 miles round trip would take almost 3 hours. Really not useful. 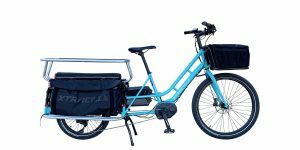 With my Supercommuter I can ride a steady 25 mph, and with the time taken at intersections, make my 20 mile commute in under an hour each way. Again, thank you for the all your work to bring these wonderful bikes to your readers. Great points Dave! 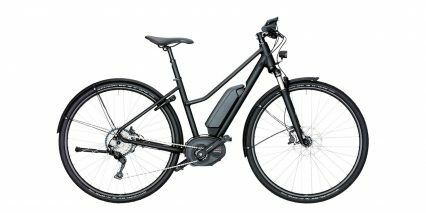 I think they focused on the CX motor because it integrates with the electronic shifting and Shimano does not support Class 3 at this time. In any case, I do really like the Supercommuter too and am glad that you’re enjoying it! 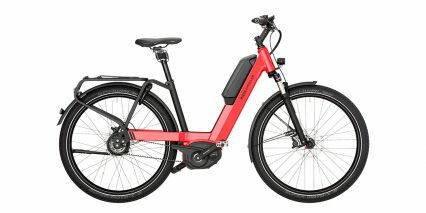 Over 10k and not a speed pedelec? LOL. 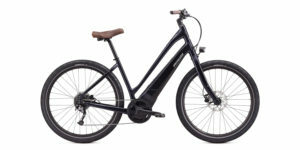 Under the Cons section you say that you are not if the Nyon display will work with this bike. The Nyon display and Cobi systems are in fact definitely able to work with a dual battery setup such as this. 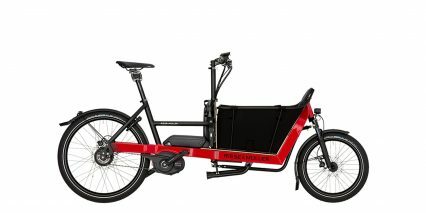 I just took delivery of this bike, I’ve been told the first to arrive in Australia. Well what can I say, its big and heavy and just reminds me of a German tank. The amazing thing is, as soon as I start riding it, the weight just disappears and it rides really really smooth. Even when the motor cuts out at 25km/h it still rides along really well. 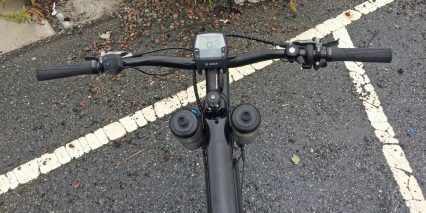 I’ve installed the Bikespeed-RS tuning dongle which works perfectly with the Di2 from shimano so I can turn off the speed restriction whenever the conditions suit. 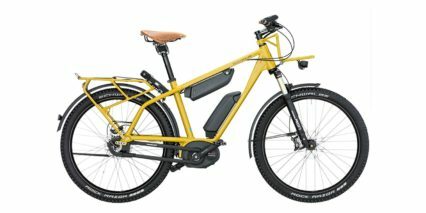 It’s so well engineered, looks expensive, is expensive (it’s my trade for a car) and I have never seen another bike like it. This looks like it will last a lifetime and therefore I can’t be happier. 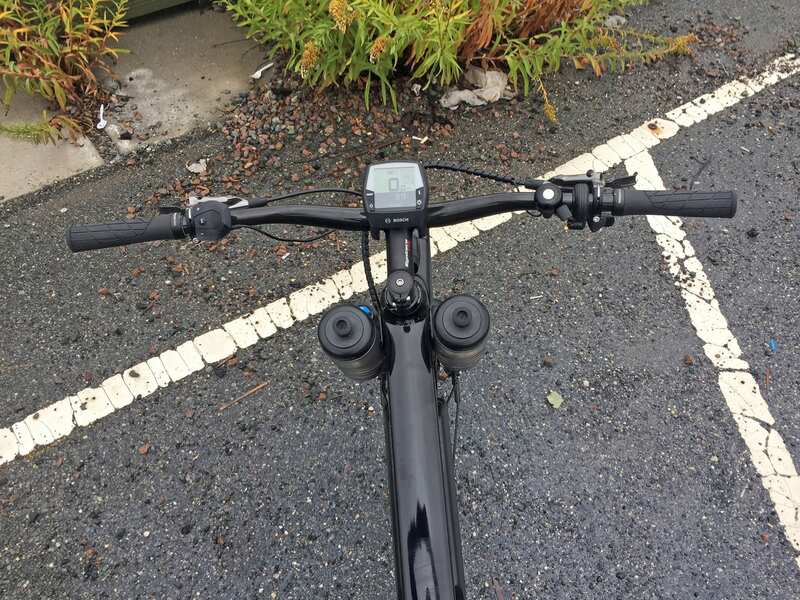 Oh, I also looked at this dual battery option (not integrated) because I knew I could use the batteries for my Haibike Hard7plus mountain bike, giving me a huge amount of range when I go into the mountains. Fantastic! Glad to hear your bike arrived safe and has been meeting your hopes. 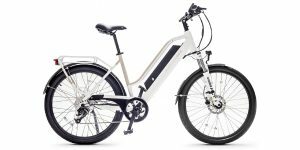 Sounds like an awesome trade for sitting in a car ;) and I like your point about the non-internal batteries – being swappable on other bikes more easily. They also weigh a bit less and are easier to take off, in my experience. Thanks for the update Mark!